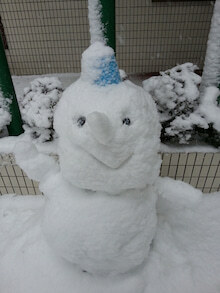 Today, Tokyo was hit by heavy snow. this snowman became bigger than ever! !